"Partner Skills" are skills related to coupled together "Vanguard" and "Rear Guard" characters. It includes skills such as "Switching," which allows you to switch between the vanguard and rear guard characters during battle. "Coupling Skills" are special skills that can be activated by coupled together "Vanguard" and "Rear Guard" characters working together. It can be activated from Partner Skills. Defense Skills prepare for the enemy attack, and end the current turn. "Defend" can reduce damage from enemy attacks, but if there are no attacks coming you can choose "No Guard" instead of "Defend," and speed up your next turn. If you are going to take an attack, however, it is also effective to not just "Defend," but use a Defense Skill that activates a counter. 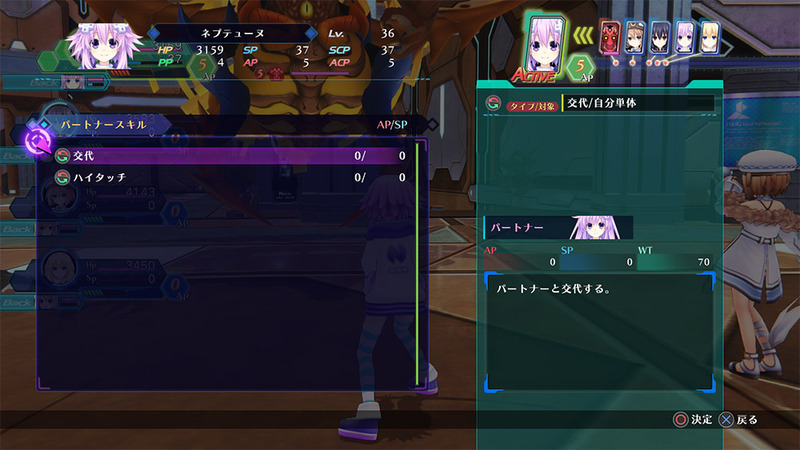 Item Skills are skills which allow you to use an item. When using it in battle, you will use up "PP (Pocket Points)." Of course, you can use any items you possess on their own, but you can also use them together with other items to strengthen or change their effect. 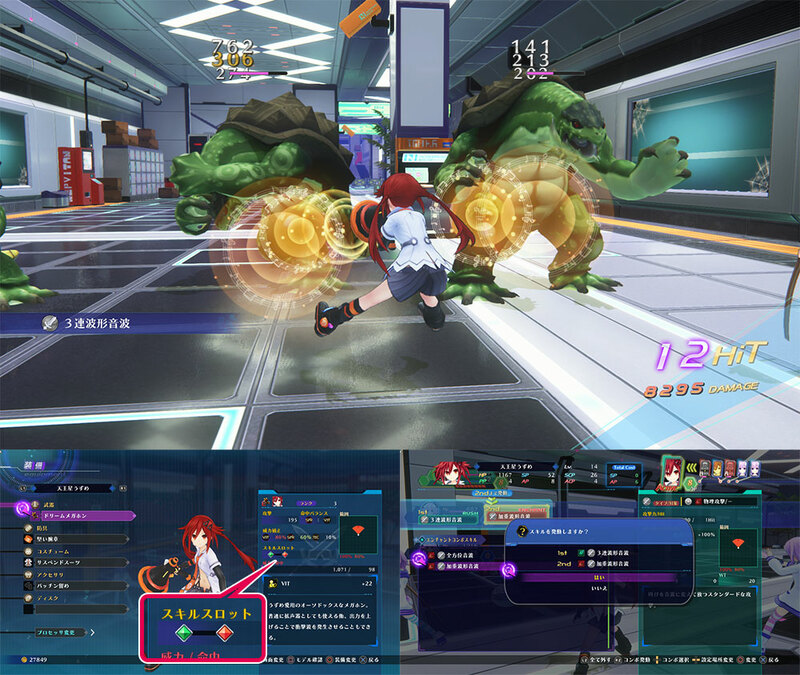 Formation Skills are special skills that can be activated by party members who are working together in battle. Various skills can be used that include 2, 3, or 4 people. In order to use them, you must sandwich or surround the target enemies. 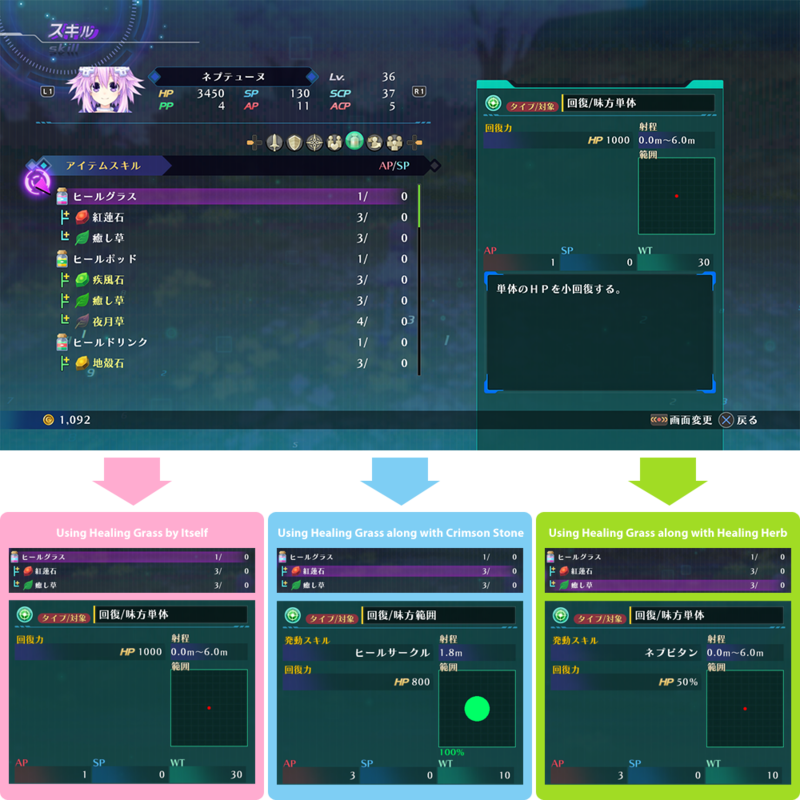 When using a Formation Skill, all participating members must have the required SP, and their transformation state must be the same. "Combo Skills" are the basic attacks of battle, and you can attack multiple times in a row. 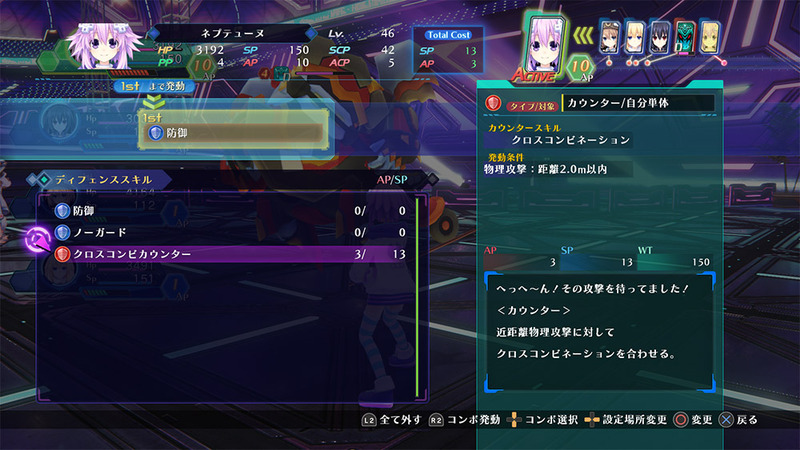 The range of attack and the Combo Skills you can set are dependent on the Skill Slots of your equipped weapon. There are three type of Combos. Higher attack, lower accuracy, and can delay enemy attacks more easily. Lower attack, higher accuracy, and generally can perform more attacks at once. Additional attribute damage occurs if enchanted with an attribute. Special Skills are Skills that a character acquires inherently. They include ally support and recovery, as well as special attacks that inflict massive damage onto enemies. Partner Skills are skills that affect the rear guard character. You can switch with the rear guard character during battle, or use Coupling Skills that work together with the rear guard. Form Skills are skills related to a character's state. 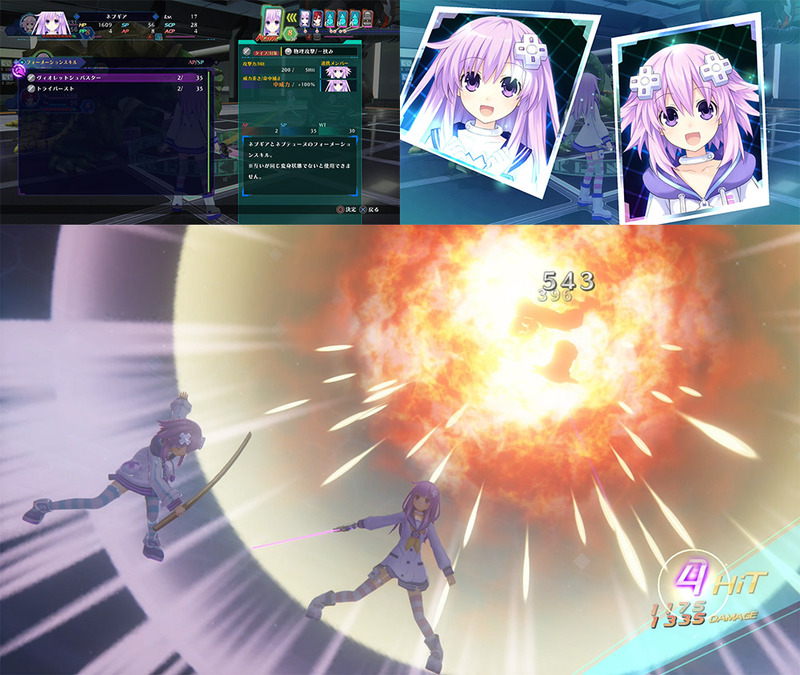 It holds transformation skills such as "HDD."